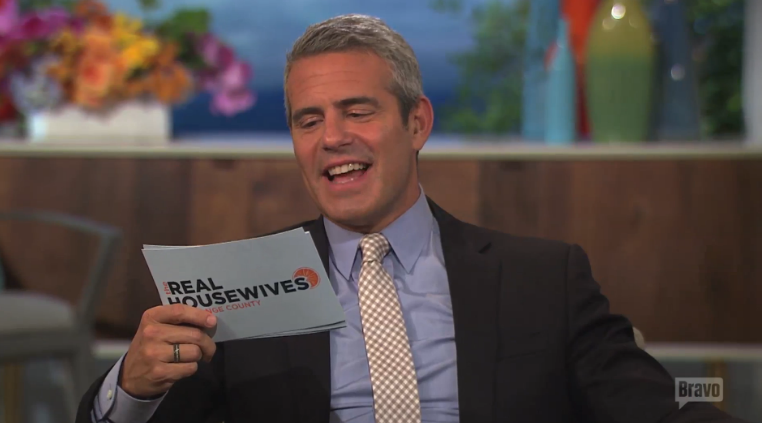 Andy Cohen promises “revelations” during the #RHOC Reunion airing tonight on BravoTV. Cohen sat down with “The Dish” and had this to say. “I was worried that we weren’t going to get anywhere with the Brooks conversation. But I think we did,” he continued, citing his one-on-one interview with Vicki’s ex. “It’s interesting to hear his side of everything. There’s nothing that I didn’t address with him, and he has an answer for everything.” So, does Andy have an opinion about whether or not Brooks does have cancer? “Let’s talk after the reunion and I will tell you my verdict,” he teased. Live Tweet with me @BitchByBravo during tonight’s #RHOCReunion!